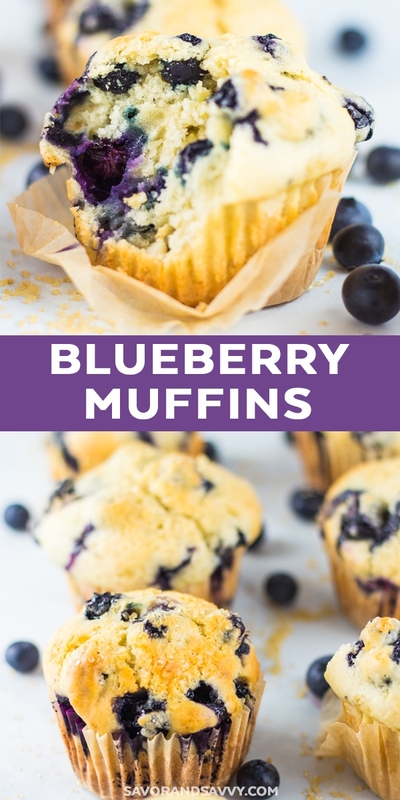 Blueberry Muffins Recipe from Scratch - Easy Recipe! 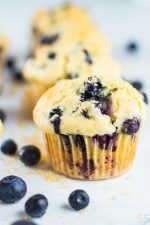 This easy blueberry muffins recipe is made from scratch and is such a simple recipe that you can whip up with traditional pantry staples. 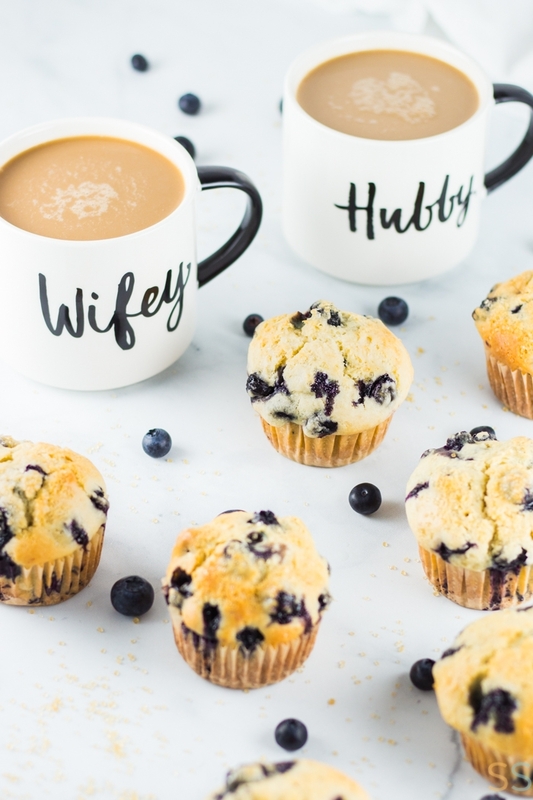 These blueberry muffins are a bit sweet, a bit tart and are a great way to start your mornings – especially since they’re freezer friendly! Do Blueberry Muffins Freeze Well? Yes! I actually popped our leftover muffins from this batch in the freezer to use for future breakfasts and snacks. I’m actually making a couple of extra batches today with leftover blueberries and strawberries so I can use them up before they go bad and stock our freezer with breakfasts for a while! 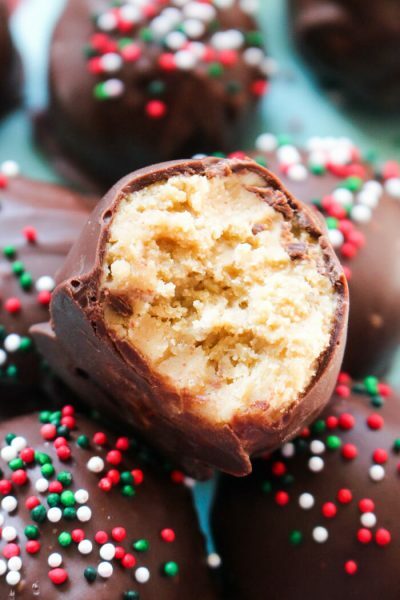 Wait until they cool completely and freeze in gallon sized freezer bags. 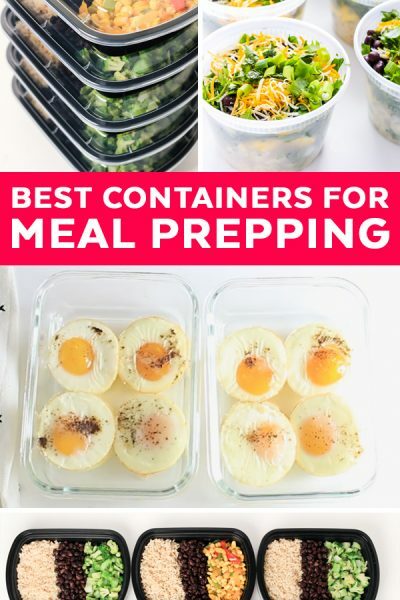 They’ll stay fresh in your freezer for about two to three months. 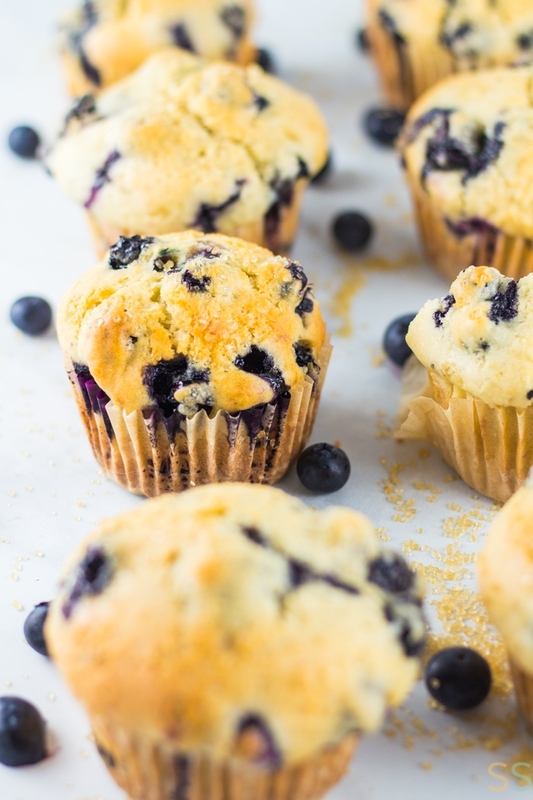 When you’re ready to enjoy a muffin from the freezer, just place a blueberry muffin on a microwave-safe plate and microwave for about a minute. It makes the perfect easy breakfast. 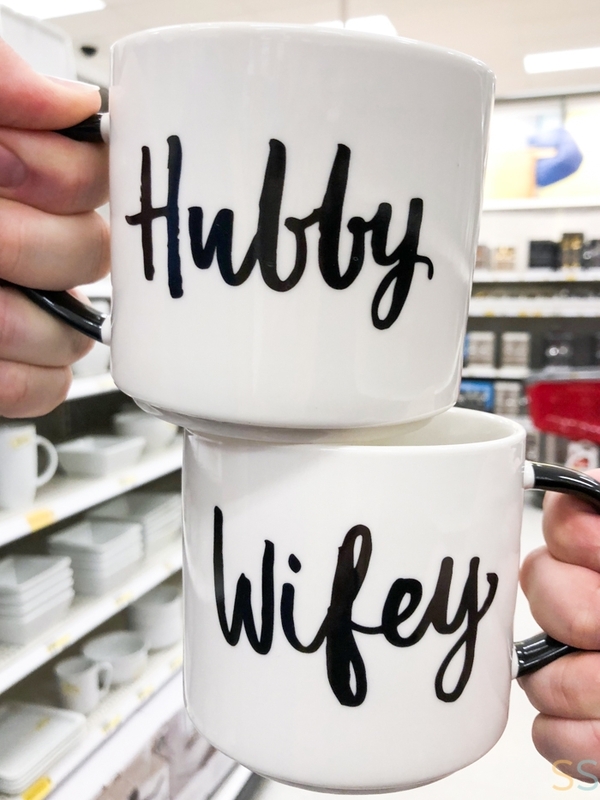 My husband and I saw these cute coffee mugs while we were at Target and picked them up because I can never turn down a cute set of mugs (I used to design coffee mugs so they’re still one of my favorite things to collect!). I picked up this So Delicious Dairy Free Coconut Milk Creamer in the French Vanilla flavor at Target. Target has a Cartwheel offer for 10% off So Delicious Dairy Free Creamers from 6/10 through 7/7, so you can grab yours at a discount too! I always prefer to use a dairy free option when possible and finding a tasty coffee creamer that was dairy free has been a challenge! 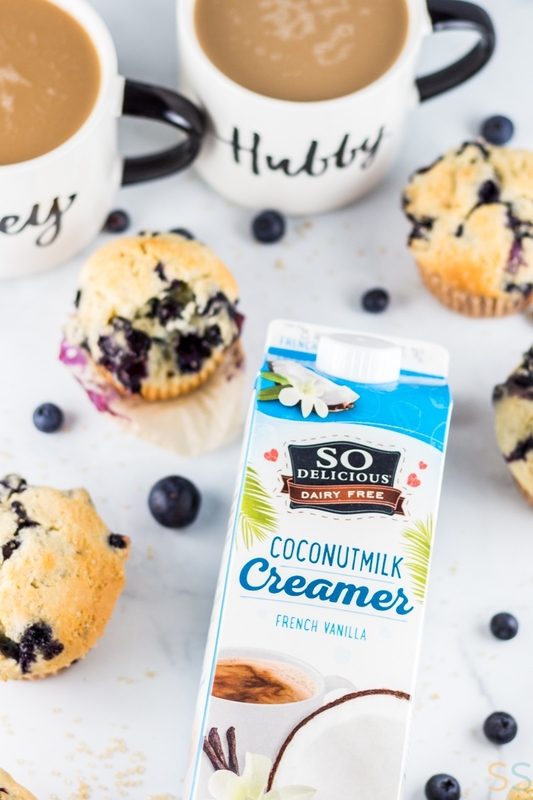 I love that this So Delicious creamer tastes sweet, creamy and gives a light coconut taste to coffee. Having a good cup of coffee and these muffins ready to go in the morning makes my breakfast prep take all of three minutes. Which has come in handy lately since I’ve had to be more intentional with my time and actually consistently use my planner to plan out my upcoming recipe shoots for the upcoming weeks. 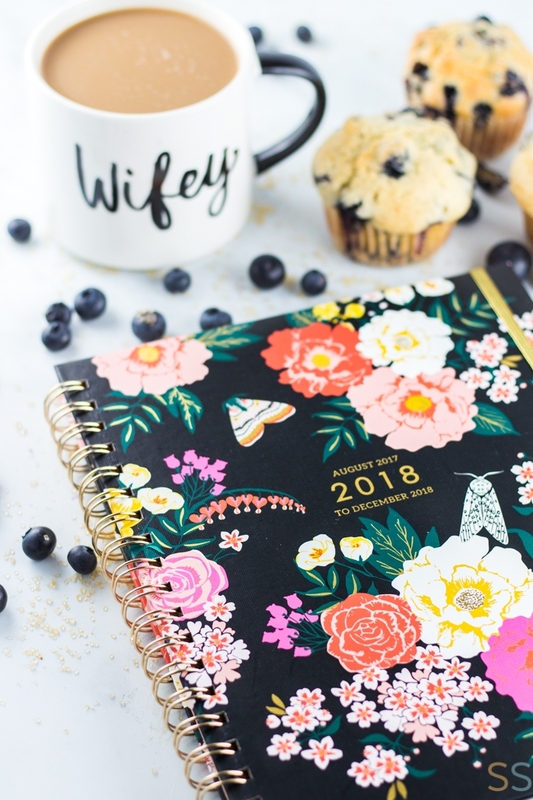 I’ve recently started creating recipes for other sites so I’ve realized that getting organized enough to make things run smoothly requires a planner! Keep blueberries from sinking to the bottom using this genius “plain batter before berry batter” trick from Serious Eats. 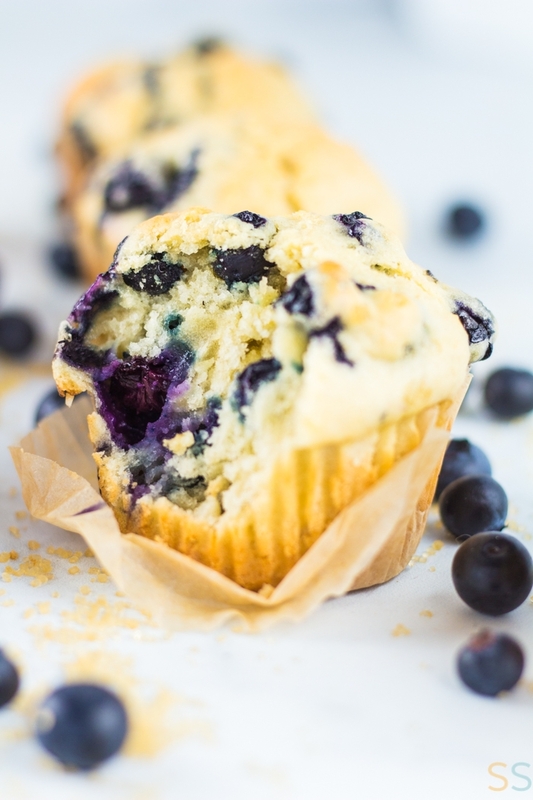 This blueberry muffins recipe makes perfect from scratch muffins! They're a bit sweet, a bit tart and are a great way to start your mornings - especially since they're freezer friendly! Preheat oven to 450F. 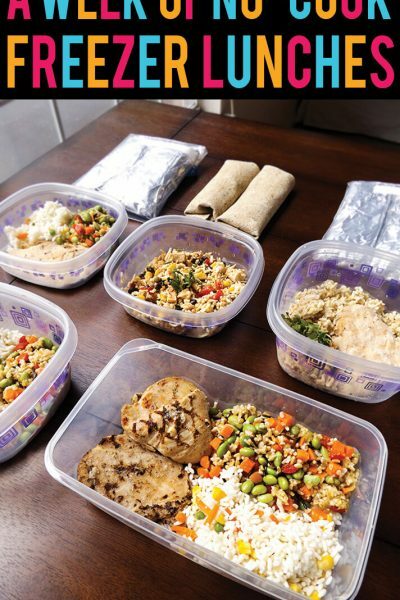 Add 12 liners to muffin tin, set aside. In a large bowl, add flour, sugar, baking soda and salt. Mix well. Set aside. In a medium bowl, add canola oil, eggs, buttermilk and vanilla extract. Mix well. 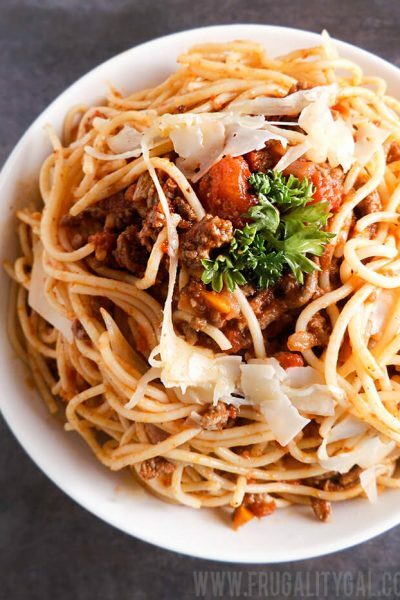 Pour into large bowl over dry ingredients. Mix until well combined, being sure to not over mix. Place a heaping spoonful of batter into each of the 12 lined muffin cups, set aside. Gently fold blueberries into remaining batter. Divide remaining batter evenly between each cup, filling to the top, being sure to not overfill. Lightly sprinkle turbinado sugar over each muffin before baking. Bake at 450F for 8 minutes, then reduce heat to 350F for 22 to 25 minutes, or until tops are firm, muffins are lightly golden brown and a toothpick comes out clean. 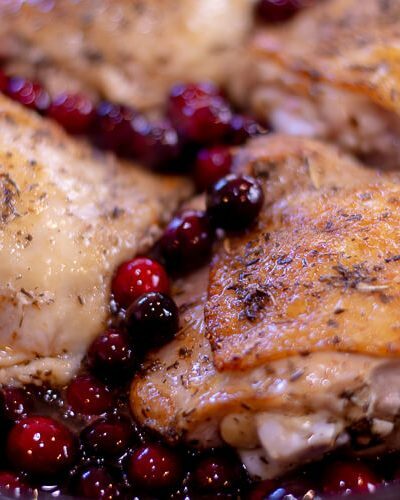 Remove from oven, allow to cool before enjoying.